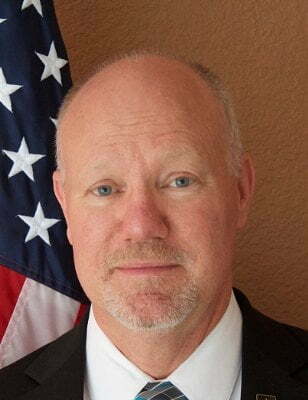 Spaceport America, the world’s first purpose-built commercial spaceport located in southern New Mexico in the USA, today announced that the New Mexico Spaceport Authority Board of Directors has selected Daniel Hicks as the new Chief Executive Officer. The announcement follows a search by the New Mexico Spaceport Authority Board’s Search Committee to identify a new CEO, following the retirement of Christine Anderson, who previously held the position since 2011. The final step took place today when the New Mexico Spaceport Authority Board of Directors voted unanimously to approve the appointment of Daniel Hicks as Spaceport America’s Chief Executive Officer. Mr. Hicks began his 34-year career with the U.S. Army White Sands Missile Range (WSMR) in 1982 as a Test Conductor within the Materiel Test Directorate. In 1991, he became the Supervisory General Engineer of the Patriot Missile System, leading the execution of all aspects of developmental testing and combined developmental/operational testing in the acquisition of a major military system. Dan went on to become the acting Division Chief, where he managed the activities of the three branches in the Division: Air and Missile Defense, Tactical Missiles and Targets, and Space, Sensor and Interoperability. These programs focused on theater missile and national missile defense, air defense battle management, U.S. Army directed energy and space programs, space related programs/applications under NASA, DoD, foreign and other commercial programs. Following that assignment Dan became the Technical Director of WSMR, the Chief of Staff, and in 2013, the Deputy Executive Director. In these leadership roles, he was responsible for assisting the Commanding General and the Executive Director in the operations of the entire WSMR, with over eleven billion dollars of infrastructure and a noontime population of approximately twelve thousand personnel. At present, Mr. Hicks is responsible for the direct oversight of the command planning functions for the range where he has just completed ‘WSMR 2046,’ a 30 year strategic plan and maintains oversight for all external relationships; congressional and state legislatures; federal, state, and local agencies; and other community and business stakeholders. “I am so excited and grateful for the opportunity to lead the great team at Spaceport America. I have always believed in Spaceport America. It is a national treasure that is important to our state’s economy and our nation’s commercial space industry. I am very impressed with what Chris Anderson, her team and the Spaceport Authority leadership have accomplished these past five years. The construction is complete; they have a great foundation of tenant activities with Virgin Galactic and others; and they’ve already had numerous successful launches. We are entering a very exciting phase of increased operations and I am looking forward to working with the team and sharing my 34 years of launch operations and business development experience from U.S. Army WSMR. I’m looking forward to getting out in the New Mexico communities, sharing our great successes and especially meeting with our current and future commercial space industry partners. I want to thank the New Mexico Spaceport Authority Board of Directors and the Governor for their trust and allowing me to become the next CEO of this incredible national asset,” said Daniel Hicks, Chief Executive Officer, Spaceport America.